Chromium Picolinate, shown to assist in weight loss by helping to control blood sugar levels. Have a question about Lipo-6 Chromium? What is it, what does it do, how and when to use or something else? Ask us. 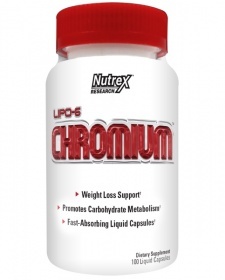 Lipo-6 Chromium 100 Capsules is a discontinued product. Please browse other products you might be interested in.. WARNINGS Lipo-6 Chromium : Food supplements should not be used as a substitute for a varied and balanced diet and healthy lifestyle. Do not exceed recommended dosage. Keep out of reach of children. Store in a cool, dry place.